In this episode, we feature two sets of individuals who offer great examples of collaboration across working disciplines. 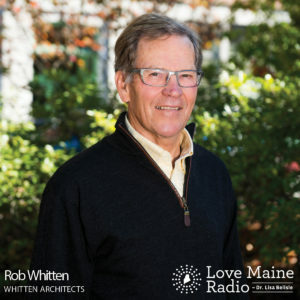 Our guests are Rob Whitten of Whitten Architects and landscape architect Todd Richardson, of Richardson and Associates, along with Russ Doucette of Russ Doucette Custom Home Builders and Teresa Simpson of Midcoast Home Designs. 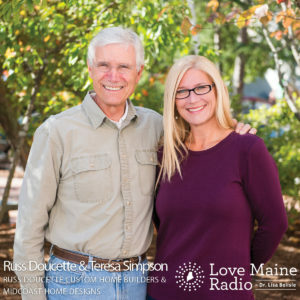 Russ Doucette is the owner of Russ Doucette Custom Home Builders. He comes from a family of craftsmen and went to college at Northern Maine Vocational and Technical Institute in Presque Isle, Maine. After school, he worked for several construction companies in the Portland area. 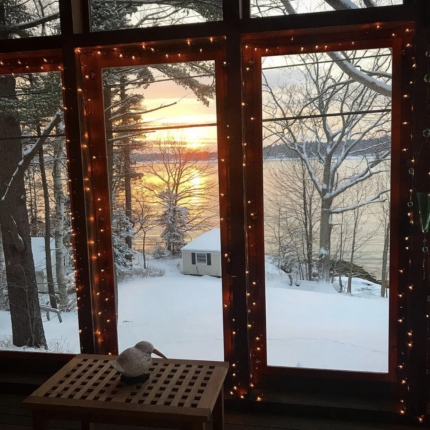 The owner of Midcoast Home Designs in Wiscasset, Teresa Simpson was born and raised on the coast of Maine and has been an architectural designer since 1988. Her design projects include residential homes and remodels, small commercial projects, construction project management, and 3D renderings for clients including home owners, contractors, and other architectural firms. She started Midcoast Home Designs as a teenager in high school when she was professionally designing spec homes for her building contractor family members. She has more than 26 years’ experience with commercial and residential drafting, design, and project management. 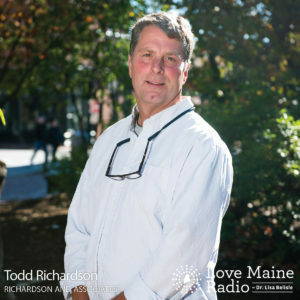 Landscape architect Todd Richardson is the owner of Richardson and Associates in Saco.